Sunflowers are one of my favorite flowers and they are the perfect colors for Fall decor. When I saw this Sunflower design in the Cricut design space, I knew I had to make something with it. I thought it would look cute in a wooden frame, sitting on the buffet in my dining room. 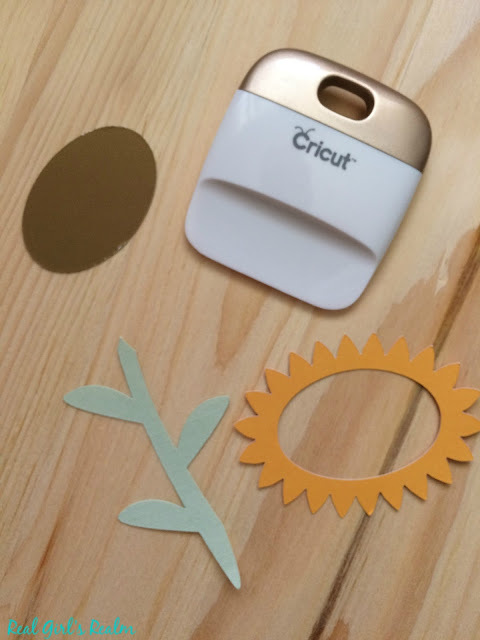 If you have a Cricut Explore, follow the instructions below to make your own. 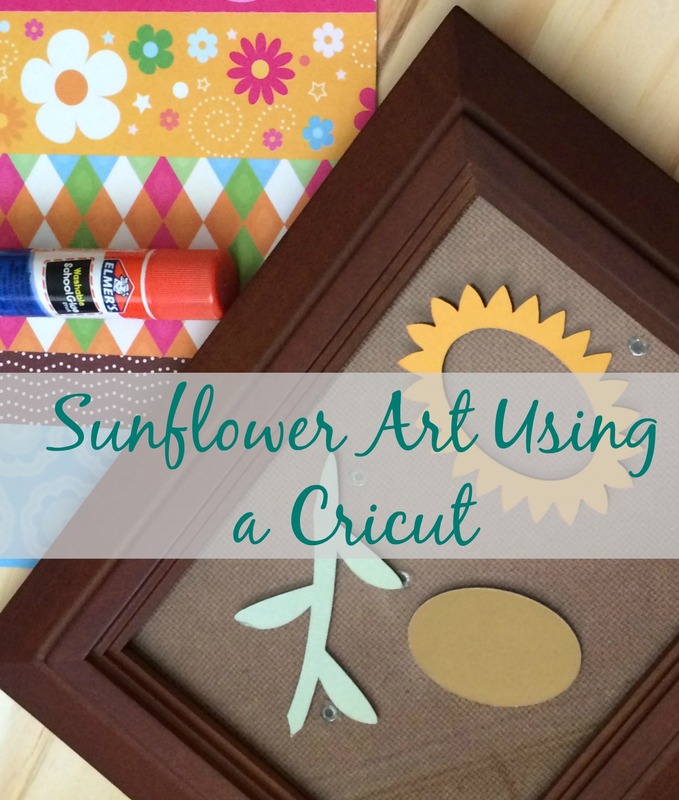 Using your Cricut, cut the background and the sunflower pieces from the cardstock and remove them from the mat. What is your favorite flower to decorate with for Fall? Sunflowers are my favorite for fall! Your frame out turned out so cute! I need that cricut! They are my favorite flowers too, so I had to make this project! Oh my gosh! This is so, so cute! I should do more paper crafts with my Silhouette. I just love the different papers you used. Thanks Carrie! 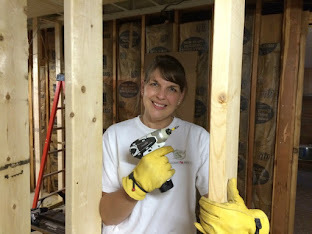 There are so many things you can do with cutting machines, that I forge about too! What a simple way to add in some fall decor. 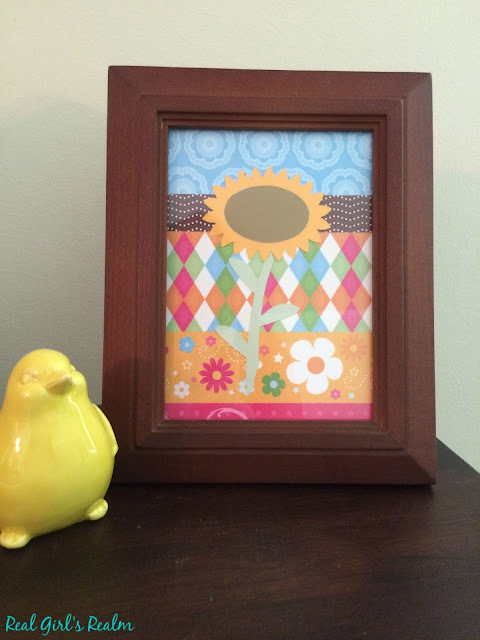 You could even use an upcycled frame from the thrift store. Thanks! 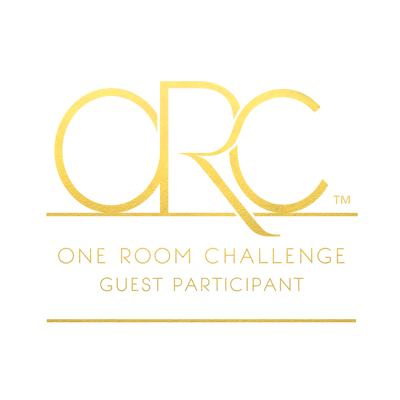 Yes, that is a great idea!